We educate and engage communicators and marketers on how to inspire social or environmental change. Collectively, we’re exploring and discovering new ways to measure the impact of our work, while bringing new industry standards to communications. Impact Relations is a discipline of communications that influences positive social and environmental impact. No spin. Just authentic and strategic communications. By crafting messages that are transparent, authentic, meaningful and resonant, organizations can perform and communicate better while inspiring stakeholders with substantive commitments to social and environmental responsibility. Impact relations seeks to align messaging with values, and measure the effectiveness of communications beyond traditional media metrics. In developing Impact Relations, we’ve created a framework that allows organizations and individuals to effectively convey their impact through storytelling in order to amplify beneficial outcomes, enhance reach and resonance, and inspire change. 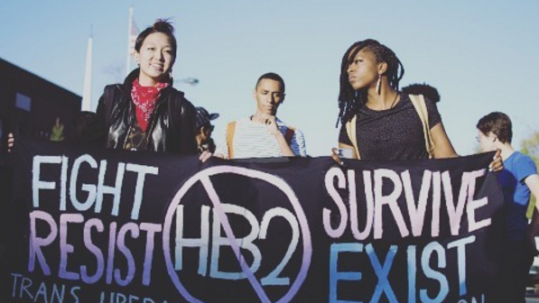 Stories have the power to wake people up and serve as a catalyst for systemic change. 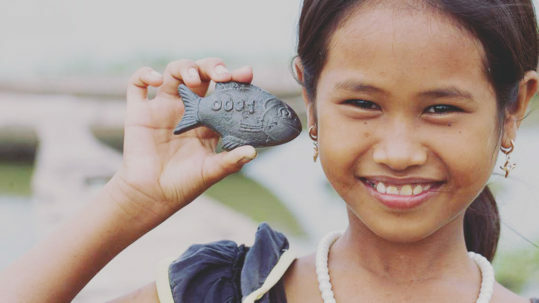 Our mission is to leverage those stories to inspire collective impact. Our vision is to set a framework and standards for the communications industry, and make transparent, authentic communications the norm. Read about some of the people in the industry applying the Impact Relations philosophy. Strategic problem solving for some of today’s greatest challenges, providing solutions and direction, via social and environmental impact consulting. Measuring the social and environmental impact of clients and their campaigns by auditing workplace wellness performance and ensuring transparency when reporting on sustainability issues. Energizing stakeholder communications through media relations, creative campaigns, social media, event activations, and more – all designed to educate, inspire and empower. Why Join the Impact Relations Community? Use your communications skills to create systemic change, and leverage stories to inspire collective impact. Demonstrate your commitment to transparent communications. Shape the evolution of Impact Relations; lend your voice to debates on industry standards for purpose-driven communications. Benefit from virtual networking with like-minded industry peers and leaders. Share and receive best practices, tips and insights on how to advance your clients’ news within the impact space. Strengthen your relationships with media by becoming associated with a tribe of communicators that journalists rely on for straight facts, transparent communications and no spin. Sharpen your skills and learn best practices through our webinar series and blog. Weekly news-tip newsletter showcasing the best media outlets and journalists for solutions-focused stories. Our monthly newsletter, The Agenda, sharing best practices, case studies, profiles, opinion pieces and more. 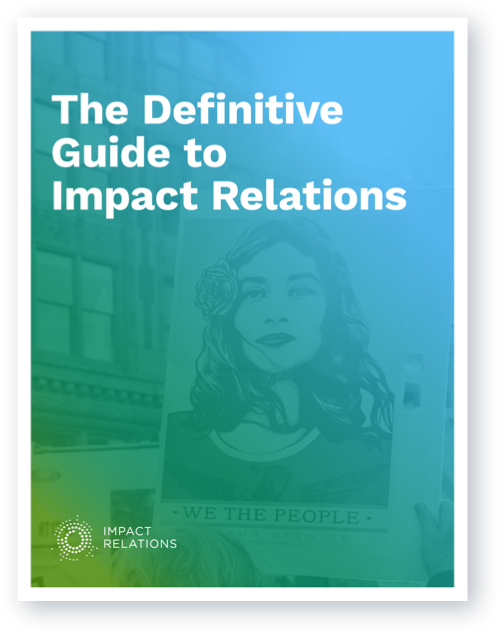 The Definitive Guide to Impact Relations was developed as a tool kit and training guide for communications professionals – public relations, media relations, strategic communications and social media professionals/online storytellers – to apply Impact Relations into their work and service offering. Sign up to receive volume 1. Yes After receiving this guide, I'd like to continue to receive Impact Relations updates via email. Impact Relations is dedicated to promoting the widespread practice of PR and communications for positive impact. We’re shaping the future of PR. Subscribe to our monthly newsletter, The Agenda by Impact Relations.